Beyond any of the other superhero blockbusters this year, I’ve been looking forward to Logan the most. While the previous Wolverine movies have been subpar at best, it appeared that Fox had finally got it together as soon as the first jaw-dropping Logan trailer arrived. And based on early reviews of the film, it looks like we’re in for a real treat this weekend. In order to prepare for Hugh Jackman’s final outing as the iconic X-Men character, I decided to revisit the comic that inspired this movie. Originally released in 2008, Wolverine: Old Man Logan began as a miniseries by writer Mark Millar and artist Steve McNiven. This futuristic tale is essentially the Wolverine version of The Dark Knight Returns, as it features a retired Logan who’s trying to lead a quiet life in a world ruled by the villains of the Marvel universe. Yet as the series quickly became a huge success, with sequels written by Brian Michael Bendis and Jeff Lemire, this alternative version of the character eventually became canonized. 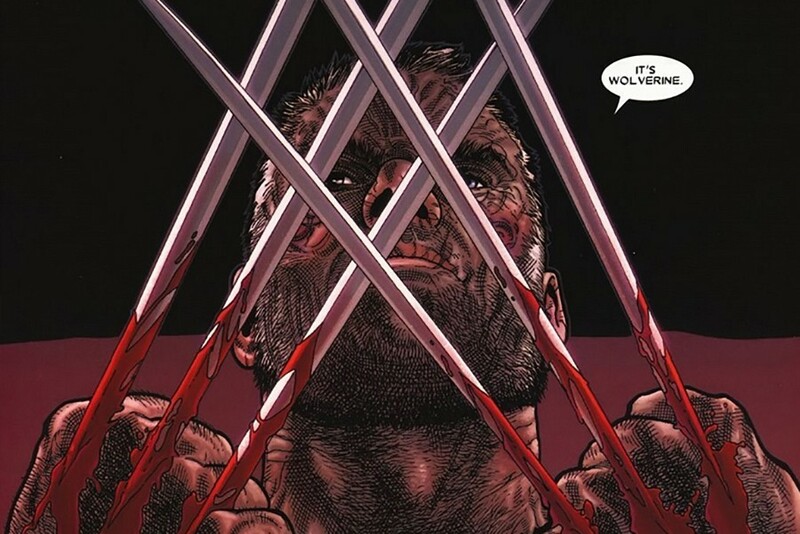 After The Death of Wolverine miniseries by McNiven and writer Charles Soule, X-23 took up Logan’s mantle, while Old Man Logan returned for an ongoing series. That said, Wolverine: Old Man Logan is a staple of the character’s mythology, and one that holds up as a wildly entertaining story with compelling themes, and some of the best art in McNiven’s career. As mentioned above, the story takes place in a post-apocalyptic future where the superheroes are no more and the villains have taken over. Logan has become a pacifist, having gone over fifty years without even unleashing his adamantium claws. 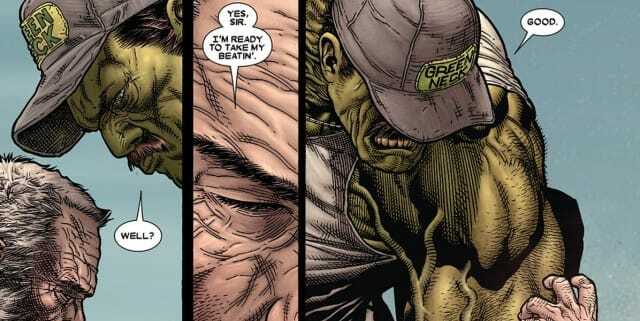 He lives in Sacramento as a simple farmer with his wife and kids, and is overseen by the notorious Hulk gang. These Hulks are the grandchildren of the now evil Bruce Banner. Soon after falling behind on his monthly rent and receiving death threats from the Hulks, Logan receives a visit from his old friend Hawkeye, who’s one of the last surviving members of the Avengers. 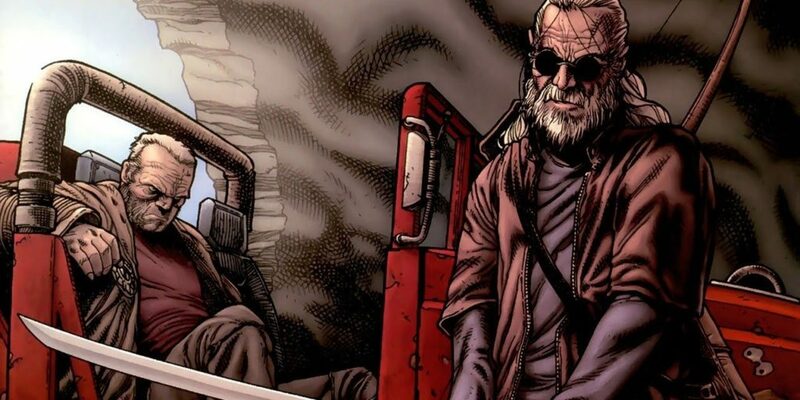 Hawkeye, who is now blind, offers Logan a job as his navigator for a delivery mission across the country. Though he won’t tell him what’s in the package they’re delivering, he assures him that the money will be more than enough for Logan to pay off his debts and provide lasting security for him and his family. Logan begrudgingly accepts, and the two set off for an out-of-this-world adventure that eventually reawakens the beast inside the man. The thing that makes this comic is its aesthetic. Stylistically, Millar and McNiven combine aspects of Mad Max with the tropes and feel of a Clint Eastwood western. 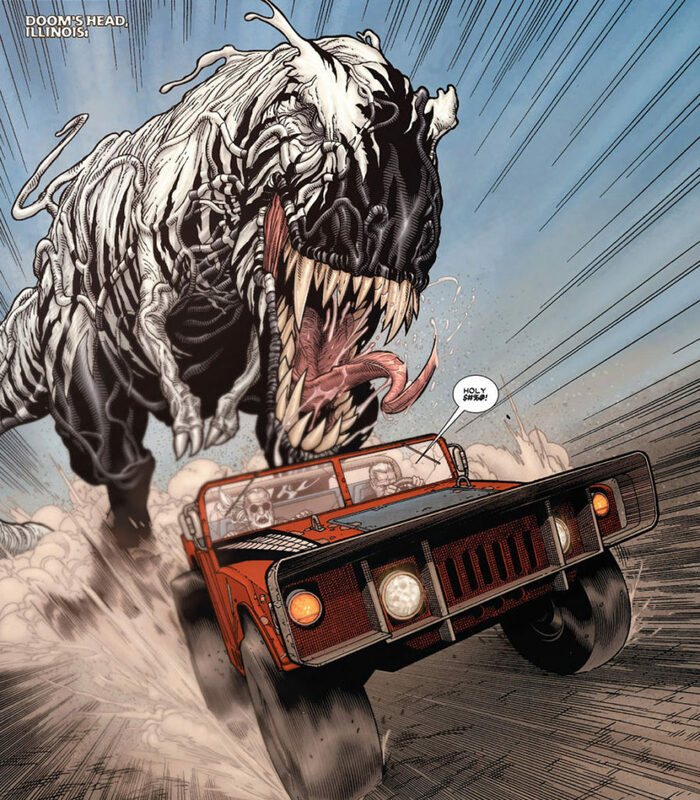 Midway through the story, there’s a George Miller-type scene in which Logan and Hawkeye are trying to outrun a rampaging dinosaur that’s been merged with the Venom symbiote. Then, the final chapter plays out like the end of Unforgiven, as the Wolverine who we know and love exacts brutal vengeance upon the Hulk gang for the murder of his family. Throughout the book, neither creator shies away from exaggerating every aspect of the world and its characters. This is an alternative future in which pretty much anything is fair game, no matter how ridiculous. In addition to the dinosaurs rampaging through the Midwest, there are also Moleman replicas who live underground and devour entire cities. We also learn that one of Hawkeye’s ex-wives is Peter Parker’s daughter, and that their daughter has become a ruthless vigilante who wears a Spider-suit. All of this takes place in a world where the Red Skull is America’s dictator, and the other super villains are his lieutenants. It’s this kind of reinvention that makes me wish the book wasn’t canon. It works so well as a standalone story that I really don’t need an ongoing series to accompany it. The same thing happened with The Dark Knight Returns, and we even talked about that on one of our recent podcasts. But hey, that’s mainstream superhero comics for you. Now, I’ve been a Millar fan since I got into comics, so his blockbuster storytelling approach here doesn’t really bother me. Granted, I do laugh at the fact that the second-to-last issue in this arc features not only Logan using Captain America’s shield to kill Red Skull, but also him using the Iron Man armor to fly out of the White House and back to Sacramento. Regardless of how gloriously absurd some of the scenes in this book are, the sheer scope of it makes it an irresistible read. Likewise, McNiven’s pencils are as cinematic and grandiose as the best of superhero epics. The violence is brutal and relentless, the aesthetic grim, and the creatures Logan and Hawkeye encounter on their journey are some of the most bombastic and monstrous to ever enter the Marvel universe. Given that this is the same creative team behind Civil War, it’s no surprise that they deliver a story that’s just as rich and action-packed. 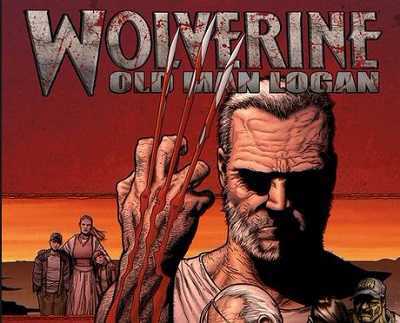 While Wolverine: Old Man Logan is no doubt the kind of comic that yearns for a Hollywood movie adaptation (and now has one), it also stands well on its own. It’s a story of redemption and retribution which effectively captures the heart, spirit and mythos of one of the greatest characters in all of comics. Hopefully the movie will do the same. Tags: Logan, Mark Millar, Wolverine. Bookmark the permalink.